Settled from earliest times in territories that included parts of Breadalbane, Glen Orchy and Glen Noe on the shores of Loch Etive, the MacIntyres take their proud name from the Gaelic Mac an-tSaoir, meaning ‘Son of the Carpenter’. They first arrived at Loch Etive at some point in the fourteenth century, and many legends attach themselves to their presence there – including one in which a spectral being known as the Spirit of Cruachan had directed them to the fertile shores of the loch. 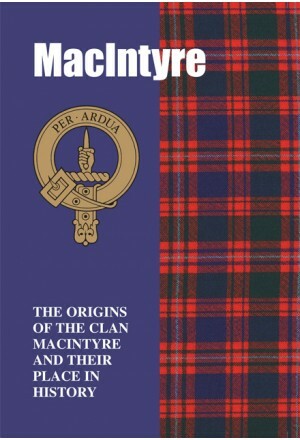 Skilled pipers, one family of MacIntyres served as hereditary pipers to the chief of Clan Menzies and another as pipers to MacDonald of Clan Ranald. Also renowned for their literary skills, one of the most famous sons was the acclaimed nature poet Duncan Ban MacIntyre, more fondly known as Fair Duncan of the Songs. Infused with colourful legend, the vibrant tale of the MacIntyres is presented here.